Update August 27: The day has come - BioShock is heading to iOS mobile devices at 8 p.m. PT Wednesday night. That's 4 a.m. GMT and 1 p.m. AEST Thursday for our international readers. You'll get all the goodness of the 2007 console and PC original, just resized for your iPhone and iPad. The game will rely on touch to control the action. The game won't come cheap; according to Mashable, 2K Games is releasing the mobile version of the title for $14.99 (about £9, AU$16). Also note BioShock for iOS is only compatible with the newest iPads and iPhones, so don't expect to start shooting 'em up on your iPhone 4. 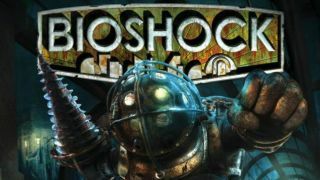 2K has announced original and much-adored BioShock will be released on iPhone and iPad, and it's just a golf swing away. With optimised touch controls and support for Made for iPhone controllers, the game promises to offer "the complete experience of the original", which launched all the way back in 2007. The iOS version will be compatible with iPhone 5S, iPhone 5C, iPhone 5, iPad Air, iPad Mini 2 and iPad 4. Apparently we'll see it later this Summer. 2K's calling it a "premium priced mobile game" so while we don't expect it to be cheap, at least microtransactions are off the table.